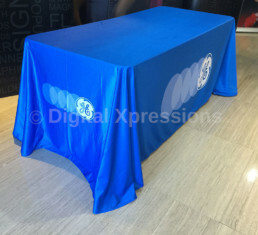 Standard table cover, helps to cover all the four sides of the table. 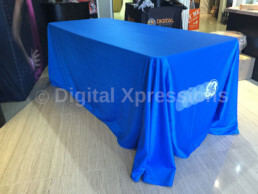 It bigger in length so it can complete the look of the table of all side, so you can keep the table in open area. 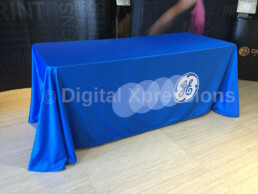 These custom table covers are also known for their great quality. 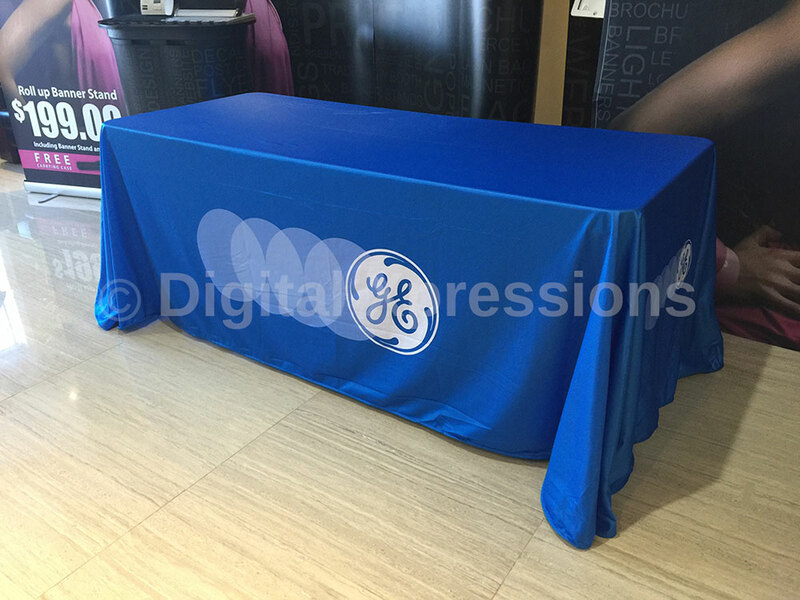 These trade show covers are of linen material and that is why it remains wrinkle free. These trade show table covers can be easily cleaned with damp cloth. The full length of the table cover displays a much professional and wide open table cloth.